Future plans include IT-community related buildings and facilities such as a technical institute, executive hotel, flex space offices, technology research and development centers, residential buildings and park-like amenities. 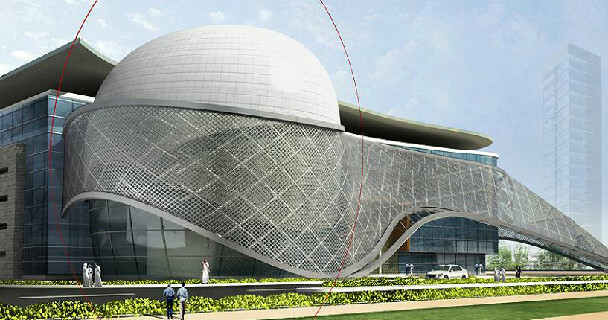 Profile: The Information Technology and Communication Complex (ITCC) will be a world technology center for commercial and industrial business operations in the Middle East. The campus will serve as a high-tech park that offers advanced integrated technology and the business environment to boost local economy and world technology development of IT and related industries. The design for the Center includes a large-scale 3D simulation space to showcase new and emerging technologies from companies around the world, as well as a 3D theater and virtual reality space. Services: DataCom Design Group is providing the low voltage technology design and integration consulting for the visualization space and supporting areas.